How good would it be if you could get Prince, Elvis Presley, David Bowie, Madonna, Adele, and Olivia Newton-John together in the same room? Answer? It would be AWESOME! Unfortunately, most of those people are dead, so you can't, but you can have the next best thing when the original, largest and widely regarded as the world’s greatest live celebrity tribute show, Legends in Concert, comes to The Palms at Crown Melbourne in January! 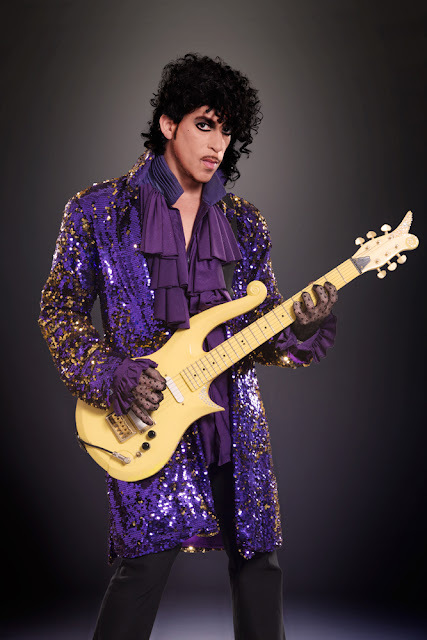 Legends in Concert made its Las Vegas debut in 1983 as an initial six-week engagement at Imperial Palace Hotel and Casino. It is the longest-running show in Las Vegas’ history with its flagship show at the historic Flamingo Las Vegas Hotel and Casino. 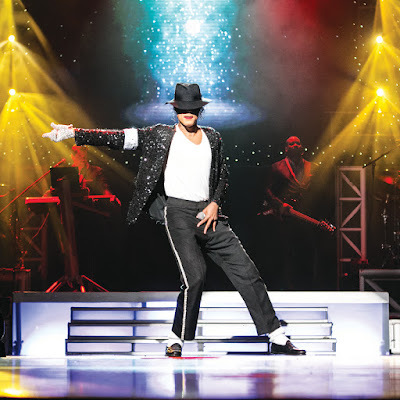 It has been over 15 years since the show has toured to The Palms at Crown, but Legends in Concert travels constantly around the world with thousands of annual performances on cruise ships, numerous theatres and casino showrooms. 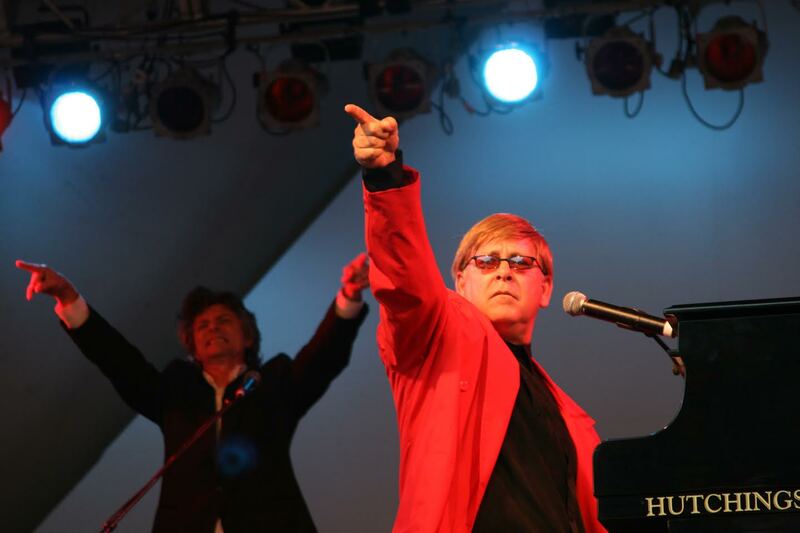 Legends in Concert has entertained over 30 million fans over the past 33 years. The tribute artists performing in Melbourne at The Palms at Crown showroom cross a dynamic spectrum of music. The performers not only look like the stars they portray, they use only their natural voices and are backed by a live band to pay homage to their iconic music counterpart. I'm really looking forward to checking this show out, and I've got a double pass (valued at over $150!) to give away for the January 18th show at 8pm so you can check it out too! The answer that amuses or confuses our judge the most will be deemed the winner. Legends in Concert will be at The Palms at Crown from January 18th until January 29th 2017! Tickets available from Ticketmaster and the prices start from just $82! You may have noticed that here at Chickens and Bees we are quite partial to a night out at the circus. Well, we are VERY excited about this circus! It has elephants! Well, kind of. It has puppet elephants! So all of the fun, without any of the cruelty that comes from having animals in a circus. And the best bit? We've got tickets to give away to the Melbourne show! Read on to find out how you can win! 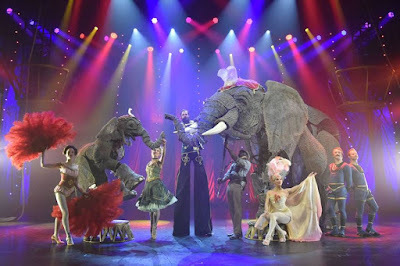 In a world premiere event, the producers of the biggest selling magic show in the world (The Illusionists) have teamed up with the award winning puppeteers of War Horse to present a thrilling turn of the century circus spectacular with all the thrill and daredevil entertainment one would expect from the circus, with an exciting new twist. audiences of all ages to the mesmerising golden age of circus. African elephant and her baby to international stages. High wire act from Mexico; and a knife thrower from Brazil. the show as the mother teachers her baby to perform in the circus. The good people at Cavanagh PR will be sending me along to see the Circus 1903 and have also given me a double pass valued at $203 for the performance at the Regent Theatre in Melbourne on Tuesday 3rd January at 7pm to give away to a reader of Chickens and Bees! Just fill out this form and you'll be in the running. Entries close at 6pm AESST on Saturday December 3rd. 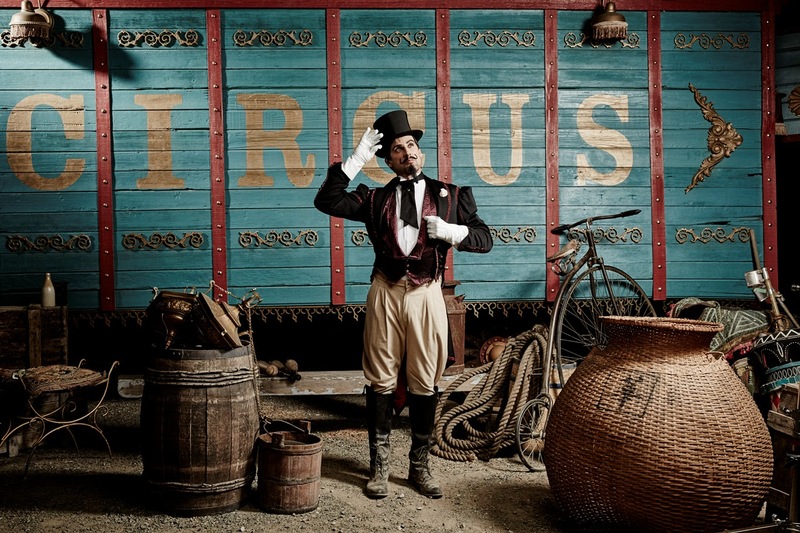 Don't forget that all the info you need to see the circus for yourself can be found at their website! These are just some of the words I would use to describe the competitors at the Australian Dancesport Championship! But hey, don't take my word for it, read on to see how you can win tickets to see it for yourself in Melbourne! The prestigious Australian DanceSport Championship will be held this year from the 9th to 11th December at Hisense Arena, Olympic Blvd, Melbourne. Entering its 71st year is a milestone achievement for the ‘Aussies’ as the event is affectionately labelled; a new era has begun for an event with an exceptional history which commenced in 1945 at Melbourne Town Hall. The ‘Australian’ is not only the premier DanceSport event in Australia but remains one of the key events on the international circuit and within the Oceanic region. This year athletes from over 20 countries will travel to Australia to take part in this annual event. This provides Australian athletes with the opportunity to compete against some of the world’s best on home soil and for Australian audiences to witness the skill, glamour and athleticism of World class DanceSport. This year’s stunning DanceSport Showcase will feature World & British Amateur Latin Champions Troels Bager & Ina Jeliazkova. The 2016 program will incorporate TWO feature nights with Troels & Ina opening the Friday night finals with a ‘taster’ demonstration, followed by the Australian Closed Latin whichselects Australia’s World representative and the Wold Class WDSF Open Standard. 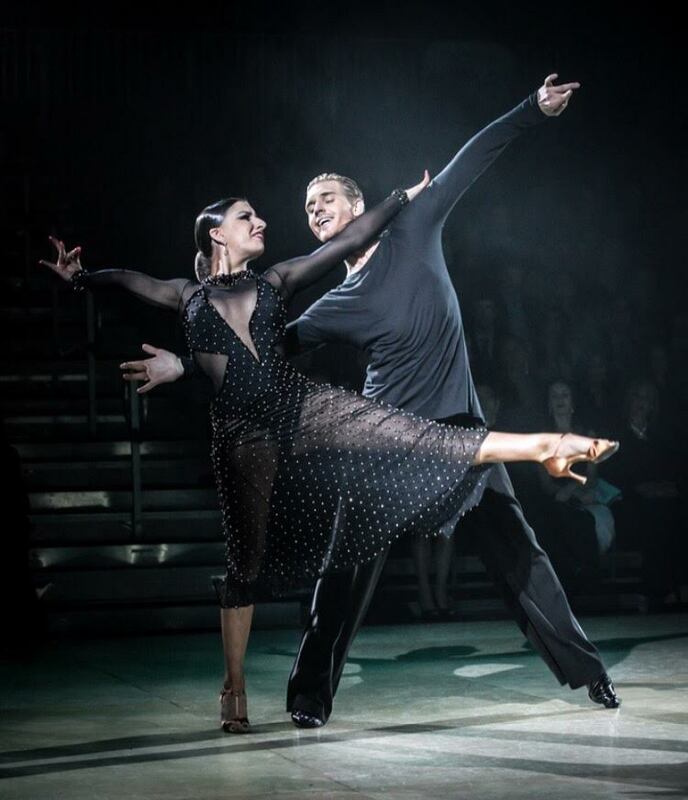 This year’s Saturday evening Grand finals DanceSport Showcase will feature a Spectacular opening starring some of the stars of Strictly Ballroom the Musical, a full floor show from Troels & Ina which is sure to thrill! as well as an exciting program incorporating the Junior Open, Youth Open, Professional Open, Masters 1 Open, Australian Closed Standard and the WDSF Open Latin. Experience the Glitz and Glamour as the stars of DanceSport kick up their heels at the annual 71st Australian DanceSport Championship, this year the legacy continues and ignites a new beginning with the champions of tomorrow amidst the champions of the past on a floor steeped with tradition. The competition will be fierce and the dancing HOT! as couples compete to take out the 2016 Australian titles & dance against the World’s best. International DanceSport at its very best - You will not want to miss a beat! Chickens and Bees has TWO double passes for Friday December 9th to giveaway! The two answers that amuses or confuses our judge will be deemed the winners. Don't forget we like poetry, but only if it rhymes! Entries close at 6pm (AESST) on Wednesday 23rd November and the winners will be contacted shortly afterwards via email. Normally I believe that Christmas festivities should not start until December. But when an opportunity to give away TWO family passes (valued at $140 each!) 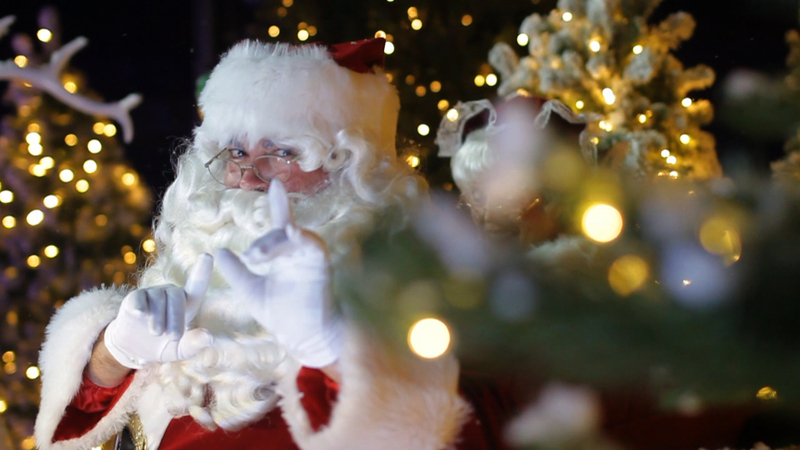 to Santa's Magical Kingdom on November 19th came up I decided I was happy to bend the rules a little bit. Please read on to see how you could be a winner! 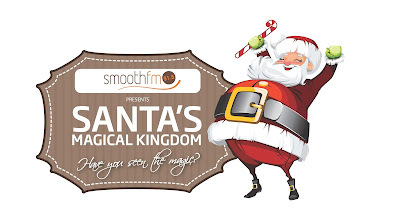 Have you heard about Santa's Magical Kingdom? It seems pretty ace to me! 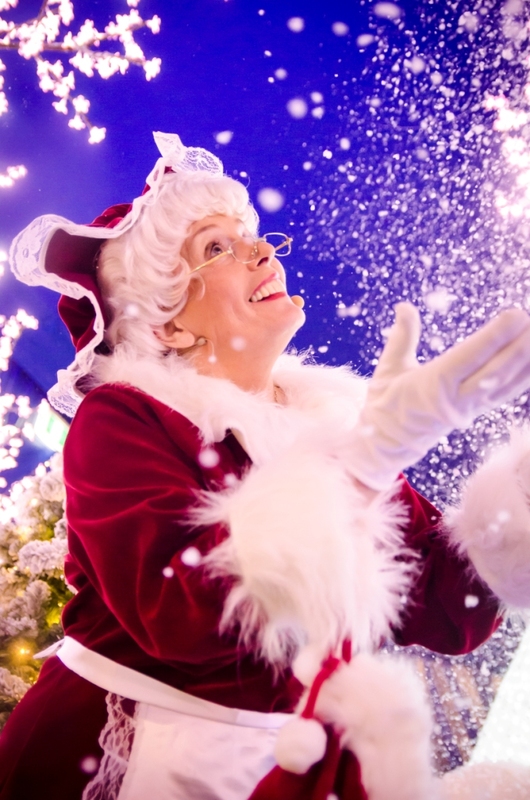 Bringing all the wonder and joy of a traditional Festive Season, Santa’s Magical Kingdom returns to Melbourne after 4 successful years, making it the annual Christmas event that cannot be missed. 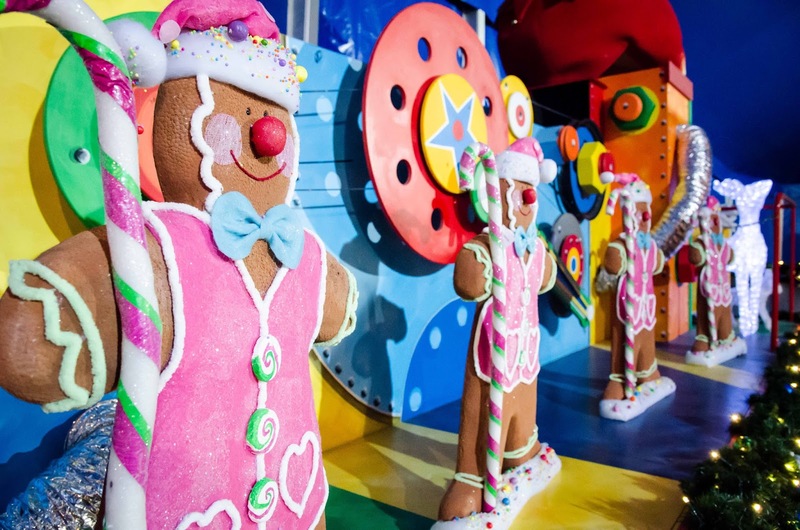 Visited by thousands of people from all around Australia, Santa’s Magical Kingdom has become a Christmas tradition for many families. - Amusement Rides & Games, including Santa’s Sleigh Ride, the Giant Ferris Wheel, one of the Largest Super Slides in the country, The Elves Magical Train Ride and MORE!!! As well as all that, Rudolph will be celebrating his birthday at Santa’s Magical Kingdom. Rudolph loves parties, so we need to impress him and celebrate in style! Rudolph will be joined by Mrs Claus, the Snow Queen, as well as Trolls: Poppy and Branch to celebrate his birthday. Every child will receive a special gift. All activities are inclusive with your Santa’s Magical Kingdom Admission Ticket. Rudolph’s Birthday will be celebrated on specific dates during the season. Check the website to find out when! I'm pretty excited to be stealing (I'll give them back!) some of my favourite kids and heading along to the opening night, I'll report back on the best bits for you! You can win one of TWO family passes, just by filling out this form and telling me what is the best or worst Christmas gift you have ever received. Entries close at 6pm on Friday November 4th and the two answers that amuse of confuse our judge the most will be deemed the winners. I'll contact the winners via email shortly afterwards. You can buy tickets to Santa's Magical Kingdom at Ticketmaster. Disclaimer: I have fantastic friends and they know who they are, even if I don't see them or talk to them as much as I would like to, because life. This isn't about them. In fact, it's not really about anyone in particular. Over the years I've had friends who just haven't stayed the distance. In some cases there were clear reasons why we 'broke up', in others we just drifted apart, no real issue that caused the demise, just neither of us made any effort anymore, and there's no hard feelings. Eventually though, there's unfriending on Facebook and just no more contact. Although if I saw them i the street I'd probably say hello and stop for a chat. There's been a couple of people who have just plain and simple stopped returning my messages. For no reason that I know of. But having said that. I'm also guilty of 'phasing people out', and I have my own reasons for that, so I'm guessing they do as well. That's life! I read a thing once (and forgive me if I get this wrong, I can't be bothered googling it as I tap this out on my phone when I really should be asleep) anyyyyyyway, the thing said that friends don't have to be forever to mean something. The universe provides us with the right person at the right time. To teach us something, it to help us deal with something, or even just to have a damn good time. They do their 'job' and are gone. We may mourn it for a bit, or we might not even notice. This makes sense to me. I've got my own theory about friendship. 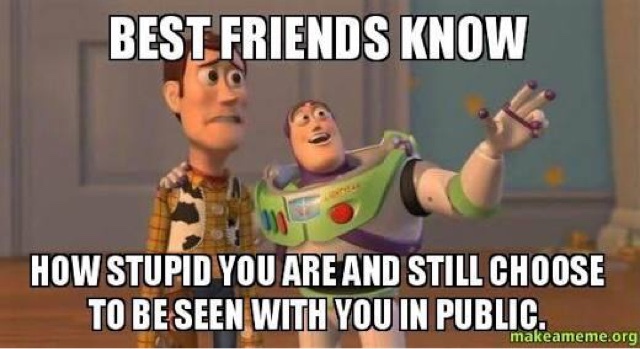 Think about your really close friends, the ones you've had for ages. I bet they have other close friends as well, hell, their close friends could even be YOUR close friends. That's because good people surround themselves with other good people. They've weeded out the crap over the years. We don't have to be BFF's with everyone we come across. Yes, we need to be respectful and polite, but we don't need to start threading friendship bracelets straight away. I barely have enough time for the friends I do have, let alone new ones. As a friend of mine likes to say 'I'm not hiring right now!' Having said that, you can always make room for the perfect candidate, can't you? And finally, something I have noticed over my time on this planet is that women who don't have at least one close girlfriend they've had for years turn out to be people I should NOT have trusted. Always. Without exception. I reckon there's a reason for that. I'm going to try and learn to trust my gut more. In the past I have given too many people the benefit of the doubt, and I'm the one that ends up suffering. No more! Well, the giveaways just keep coming around here lately, don't they? If you entered the last competition, check your inbox, because I have just emailed the winner! I'll announce their name on Facebook just as soon as I hear back from them. Tribute Mania is coming to the Palais Theatre in Melbourne on Saturday the 3rd of September at 7pm, and it looks like it is going to be amazing! I'll be going along (on the weekend of my 22nd Birthday, no less) and I am really looking forward to it. Read on to find out how YOU and a friend can come too! 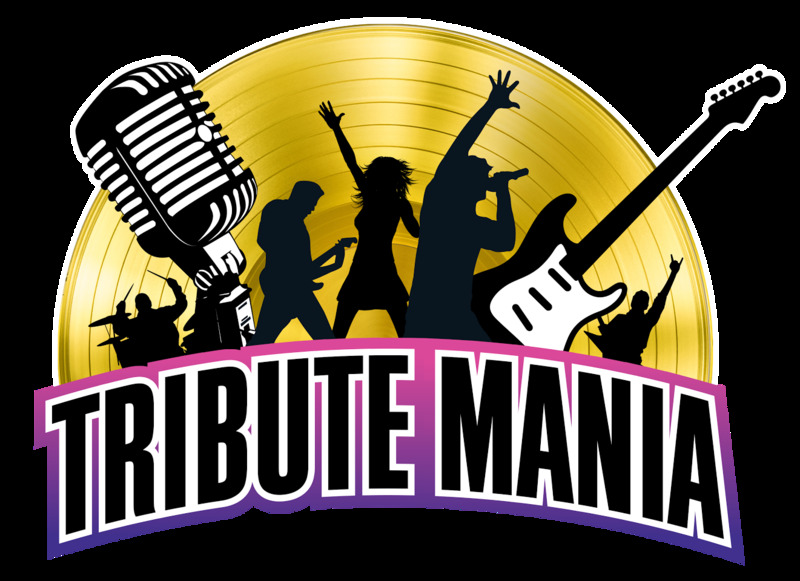 The inaugural Tribute Mania is combining FIVE tribute acts in one big night! Just check out who is on the bill! It’s a feast of the biggest and best hits of all time, from The Beatles’ A Hard Day’s Night, I Saw Her Standing There and Help! 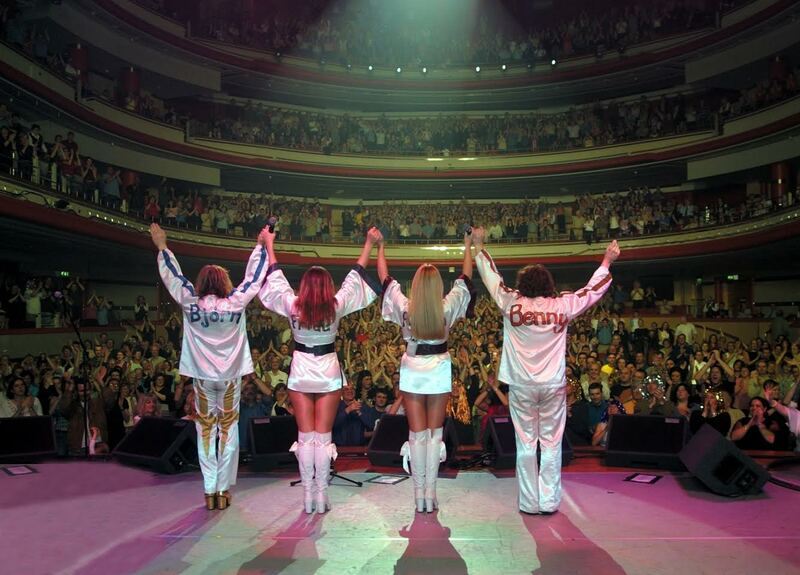 to Queen’s We Will Rock You, Bohemian Rhapsody and Crazy Little Thing Called Love. 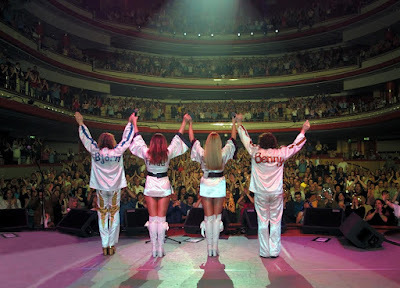 Dance to ABBA’s Dancing Queen, Take a Chance on Me and Waterloo and then groove on to the girlpower hits of the ‘90s with The Spice Girls’ Wannabe, Say You’ll Be There and Stop. Celebrate five decades of hits from Sir Elton John, including I’m Still Standing, Your Song and Crocodile Rock. There really is something for everyone! Don't just take my word for it though, here's some videos of the acts! 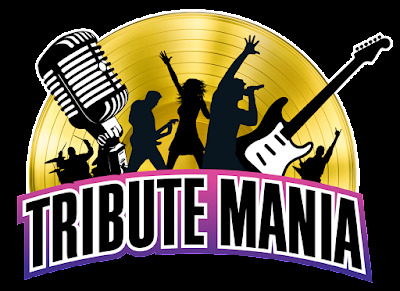 Tickets for Tribute Mania start at just $79.90 (plus booking fees) and are available from their website! So, you've watched all the videos and now you're ready to win?! We have one double silver pass (valued at $158!) to give away to a reader of Chickens and Bees! Make sure you tell us in the form who you are most looking forward to seeing at Tribute Mania and why! The answer that amuses or confuses our judge the most will be declared the winner. The competition closes at 6pm on Friday August 12th and the winner will be notified by email shortly afterwards. Giveaway! 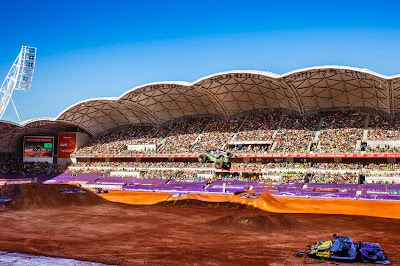 Monster Jam in Melbourne! When the email for this landed in my inbox, I am not ashamed to admit I was pretty excited. 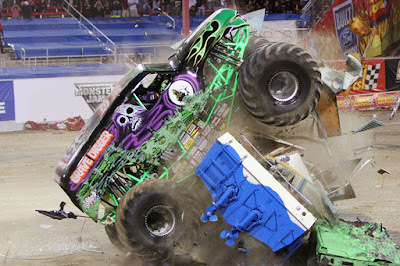 I've never been to anything like Monster Jam, and I am so looking forward to it! Plus, I've got a family pass (valued at approximately $310!) to giveaway! Just fill out the form below for your chance to win! providing a unique sensory experience like no other. General public tickets for the world’s premiere of Monster Jam – Expect the Unexpected are on sale now with fans able to witness jaw-dropping displays of punishing stunts across seven shows in five major cities. 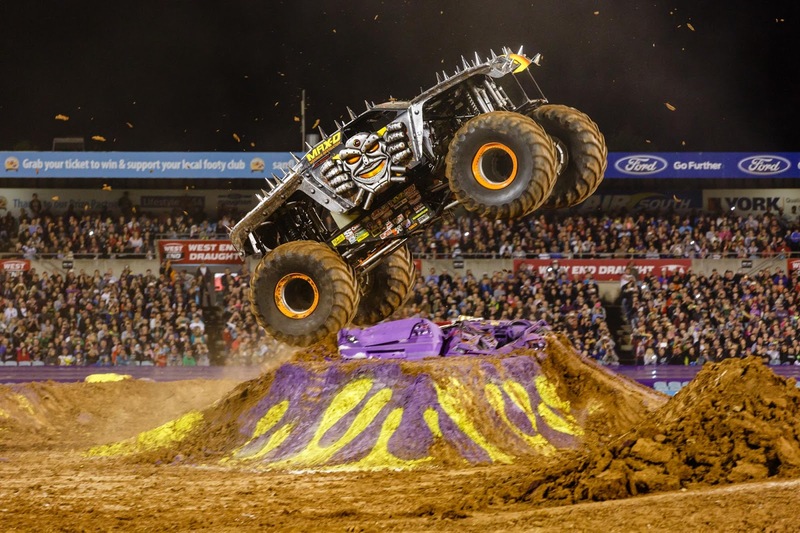 With three out of four cities sold-out last year, Monster Jam is back and bigger than ever with the first Adelaide Oval show added to the 2016 tour. The show will feature four unique Monster Jam driver competitions – Monster Jam Wheelies, Racing, Donuts and the coveted Freestyle competitions, with the Freestyle Motocross and Quad Wars also set to return. favourite Monster Jam trucks, before meeting the superstar drivers. The 2016 lineup includes a number of fan favourites, with ‘Grave Digger’, ‘Monster Mutt Dalmatian’ and ‘Max-D’ back to tear up the track, alongside new additions ‘Alien Invasion’, ‘Pirates Curse’ and the yellow ‘El Toro Loco’. Monster Jam® beasts perform breathtaking stunts and can accelerate from 0-100kph in under 3 seconds. They literally fly – covering up to 50m in a single leap (a distance greater than 14 cars side by side) and up to 12m skywards. Tickets to Monster Jam start at just $28*! With over 170,000 tickets sold nationwide last year, Monster Jam fans are encouraged to purchase their tickets early to avoid missing out. For more information and to purchase tickets, visit the Monster Jam Website! 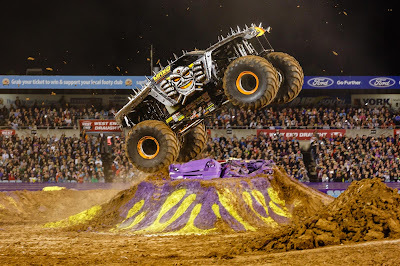 For your chance to win a family pass to Monster Jam in Melbourne on October 8th at 7pm, just fill out this form. (If the form won't load, trying clicking here instead) Entries close at 6pm on Friday 5th August, 2016. The winner will be contacted by email. *Market pricing may apply to tickets and are subject to change. Additional discounts apply on select performances. Credit card and transaction fees may also apply.